Princess Obome is a young African woman from Zion that brings family, friends, groups, and nations together with her gifted hands “Obome” to create a peaceful and beautiful community worldwide. Princess Obome Production Ltd.; renders services that promote lifestyle, cultural understanding between nations through the display of her contemporary art & entertainment. The Mystical Twins eBook is a non-fiction novel. A true story about love, life, and two nations. Access the link below to purchase a copy now. After reading do make a review about the book on the Amazon Kindle website to ensure you are provided with the best read at all times. Thanks! The Mystical Twins is a story about having the courage to help others, life and two nations, full of adventures. The idea of the novel was generated from my storytelling to old high school friends. They always looked forward to the next story and learning was fun as we cracked jokes, recited some of the courses. We saw the big picture in many little details that made school and attending classes fascinating. I developed an interest in studying the ways of life of people after travelling for various events with my parents. And AIESEC; a French acronym meaning, Association of International students of Sciences, Economics, and Commerce, was a good way of exploring the culture of other ethnic groups. I heard about the organization (www.aiesec.org), through a publicity made at the University of Benin, Nigeria during my first-degree. I gained international experience by attending traineeship, conferences, and seminars through this organization. An interesting part was an educational traineeship I had in the Czech Republic, teaching Conversation in English to a group of medical high school students. In one conference, I acquired three distinguished qualities of a leader, which includes; being an active speaker, an effective listener, and a good Observer. While fulfilling the purpose of my life, I met my divine partner Martin, who is of a different race; hence the title The Mystical Twins. “One day this nation will rise up and live out the true meaning of its creed: We hold these truths to be self-evident that all men are created equal”. It took me six months to write this novel. I write as a servant of God to bring about freedom, equal rights and justice to the male and female folks in estranged communities. My expectations are; to unite the Black and White race through the admiration of intercultural values. Though, we speak different languages, from a diverse traditional background, have different skin colours; we are one. And to resolve tribal disputes, reduce economic recession, war, strife, and famine in many nations today and in the future. To empower youths, women, and people from all walks of life to love one another, discover and develop their potentials. A family as a small unit begins with marriage, and the effects of marriages can affect our world positively or negatively. Therefore, one can find their divine partner, build long-lasting relationships; whether single, divorced or separated by fulfilling their purpose of life. In addition, I plan to have a drama version (stage play and text) that could be replayed, as a reminder of the unity between the two races bounded with love. Perhaps, there would be an adaptation of the novel by a motion picture and animated film, which will be featuring Nigerian, International, and Hollywood stars. Thanks to everyone that made the production of this novel a success. We are a team of four executive individuals; two directors, a secretary and one project manager. The company is a limited liability company that started since June 2017 with Headquarters in Lagos, Nigeria. 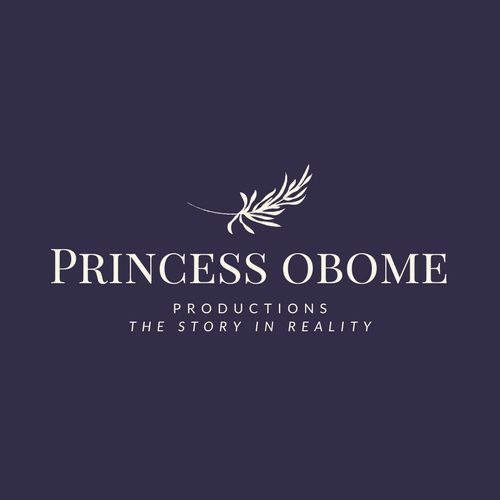 Princess Obome Productions Ltd. produces both local and international movies that solve marital issues, unemployment, gender inequality and racial discrimination. It features tourism and international trade in Nigeria. And most especially displays African culture in terms of food, dresses, houses, dances e.t.c. Princess Obome Productions renders video coverage for Marriages, Provides Catering services and Interior decoration for customers. Expansion of Medicaid; which is a federal government health coverage scheme for low-income Americans. Quality health care governance where an individual can receive financial help from the federal government. It is a Patient Protection and Affordable Care Act. Obamacare functions like any other insurance company’s scheme/Foundation but with a difference as it’s being tested as reliable. Therefore, don’t be a SHO…KO…LOKO…BANGO…SHE…, get 3.8% of your investment income insured on Obamacare for healthy living.